Round Three of the 2014 Formula One World Championship brings us to Sakhir for Bahrain Grand Prix, held at the Bahrain International Circuit. It was great to kick-start my season with a win in Malaysia. Taking a one-two was also a fantastic result for the team and I can't wait to see what we can do in Bahrain. I've finished on the podium here a couple of times here but, for one reason or another, I've never managed to get the win. Until last week it was the same story for me with Malaysia, so fingers crossed this can be the year of breaking those cycles! Malaysia was a really busy event for the team and we have a test coming up straight after this weekend's race, so it would be great to give the crew another good result to head home with after a long road trip. We know it's going to be tough to maintain our current form, particularly at a circuit where every team has had so much running time over the winter, but I'll be pushing hard to keep those results coming. The first two races have been a great start to my season and I'm already looking forward to being back in the car and carrying on that momentum in Bahrain. It's a great track and I really enjoy driving it. I've never had much luck on race weekends here, but it's definitely the one I'm best prepared for this year. I came to Bahrain for the Pirelli tyre test back in December and during winter testing a few weeks ago. Of course, it's the same situation for most teams and drivers so we could see some close battles throughout the weekend. We may be leading both Championships at the moment but our rivals are breathing down our necks, so we need to stay focused and keep doing our job calmly and professionally. We can be very proud of our achievements last week in Malaysia but there is no room for complacency. After two races we are leading both the Drivers' and Constructors' Championships. But the most important thing to take from that is that it has only been two races. We are in the very early stages of what will be a demanding year for everybody and we have seen already that fortunes can change very quickly. We approach Bahrain with the same mentality as we have approached every challenge so far this season: in the knowledge that nothing must be taken for granted. The Bahrain circuit is a real challenge: particularly for the tyres in terms of overheating. Quite often you get sand blowing onto the track, which is one of the unique features of this circuit and throws another challenge into the mix. A dusty track will have less grip than a clean one, so you have to prepare for that to change even between qualifying sessions. The layout has a great combination of fast, slow and medium corners which make it tough for the drivers and the car. The lap starts with a long, DRS-enabled straight heading into the first corner. This is very tight right-hander, changing down to first or second gear before immediately shifting up again as you head immediately into Turns Two and Three. After the second of four straights, Turn Four requires quite heavy braking and can catch you out on the exit. As you clip the apex the track starts to drop away from you and it can be quite tricky to stop the car from sliding wide. After the downhill section of Turns Five, Six, Seven and Eight, you rise up again briefly before a tricky slope down through Turns Nine and 10. These are off camber and it's easy to lock the inside wheel as the curve gets tighter and tighter. The third straight comes next, with a second DRS zone making the following corner at Turn 11 one of the best overtaking opportunities around the track. This is a flowing curve which switches back into the right-hander at Turn 12. You try to take this flat out before braking into Turn Thirteen. You need a late apex through this corner and it's essential to get that right, as it leads into the fourth and final straight of the lap. The same applies for the Turn 14 and 15 combination, which bring you back onto the home straight. We are back in Bahrain once again this week: a place we are very familiar with this year. Completing so many test sessions at one track is quite unusual these days with the limited test mileage available, so it's the circuit we are best prepared for on the calendar. 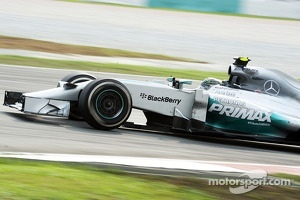 Straight after the season's second round in Malaysia, it also forms the first back-to-back race of the year. The Bahrain International Circuit is a modern track with first-class facilities. There are many long straights and the circuit is very fast. It's a great layout and driving there is a lot of fun. Turn One is the key corner around the track, with a lot of overtaking after the long start / finish straight. There's also the long, fast Turn 12 at the back of the circuit, which leads into Turn 13 and onto another straight. This is a tricky one, as it's tough on the rear tyres. Tyre overheating and degradation was a major factor last year in Bahrain and will be a consideration again this year, although probably not to the same extent. Just like in Melbourne, we have the soft and medium compounds this weekend so they're pretty well known to us now. Fuel consumption will play a crucial role in Bahrain, like at the season opener in Melbourne. These two tracks are probably the toughest of the year in that respect, so it should really benefit us to have completed so many test laps there during pre-season. We learned a lot about fuel consumption at this track and how to optimize it for the race weekend. 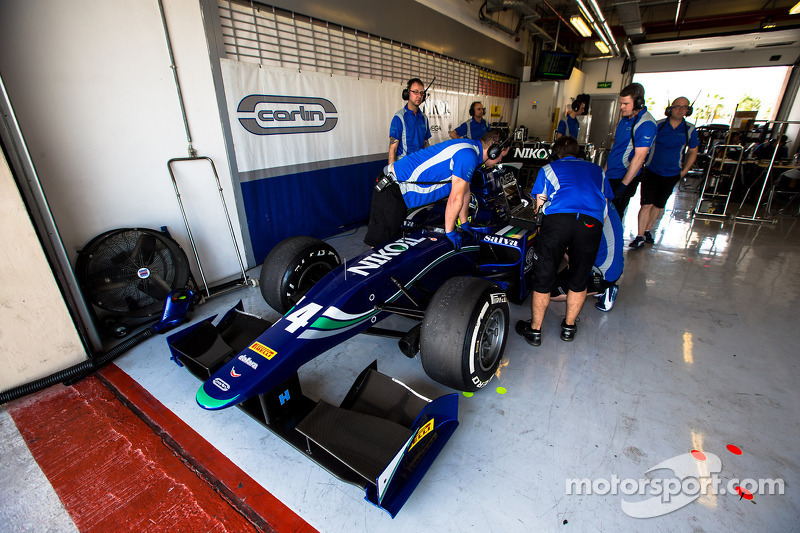 However, all drivers will probably have to keep a close eye on their consumption in the race. Those drivers who can get away with using the least amount of fuel will have a small advantage. Bahrain will be the third race for both the Power Unit and gearbox for any team that has chosen to continue such a pattern. This is where an accurate picture of endurance will really begin to emerge. Arriving straight from Malaysia, this also forms the first back-to-back event of the season. This introduces an element of strain on drivers, teams and processes. There is limited time available after the first of the two races to evaluate data in preparation for the second. Despite the inevitable fatigue, teams must be extremely efficient in making sure that every base is covered within a significantly reduced time scale. Although ambient and track temperatures may differ slightly, teams have plenty of experience to draw on following two weeks of winter testing in Bahrain. The tyres that will be used in the race have already been run here and the drivers have driven the circuit in the new cars. Of all the potential unknown factors, most have been removed for this event. 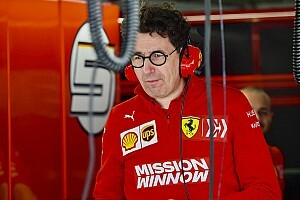 For that reason, teams may not complete quite so much homework during the Friday practice sessions as seen in Australia and Malaysia. Not only do the drivers not require as much time to get into the groove of the circuit but teams won't want to put unnecessary mileage on the cars. 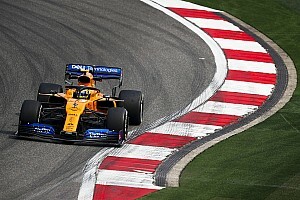 There may even be a few updates seen during practice, as teams use a track where familiarity is high to their advantage in terms of building on a package from an existing reference point. A caveat to the familiarity of Bahrain comes in an amended start time for both qualifying and the race. A new feature for this season, both will now begin at 18:00 local time: running into the night and under ever-reducing temperatures. Despite the many kilometres of testing completed here during the winter, this is a situation teams have never faced before in Bahrain and is sure to bring its own unique challenges. Bahrain is a venue with a very consistent climate. Not so consistent, however, are wind strength and direction. This can noticeably affect the balance of the cars. Depending on its direction, a normal wind of, say, 10-15 km/h will change the feeling behind the wheel for the driver. A headwind on corner entry will give the driver a more positive front end and subsequently more confidence to turn into a corner. Conversely, a tailwind will create rear end instability. Depending on which is prevalent and its rotation relative to the track, a transformation in the car and its performance can occur. This is quite significant in Bahrain, as the wind does change direction frequently: not within the same session but from day to day it can be entirely different. The desert location of the Bahrain circuit naturally means that there is plenty of loose sand around. Even between qualifying sessions, this can be gently blown onto the track and reduce grip levels. This is something the teams and drivers need to plan for and work around. Equally, sand storms can never be ruled out in Bahrain and make life difficult for drivers: as seen once or twice during winter testing. It can also make for exciting racing, however. This is where the experienced drivers really come to the fore. Only those who have raced here on a number of occasions previously will have a firm handle on its subtleties and how to deal with the scenarios which may arise. There are some good overtaking opportunities at the Bahrain International Circuit, with long straights and a few corners which encourage passing manoeuvres, such as Turns 1, 4 and 11. 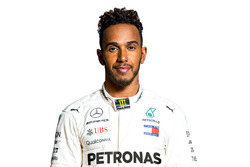 With the exception of Silverstone, which itself was an exceptional circumstance, Bahrain saw the highest number of passing moves of any race last season: 94 in total. This was, however, accentuated by abnormally high levels of tyre degradation. 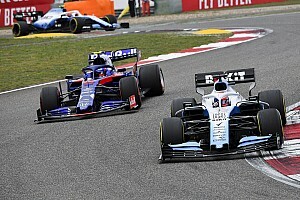 A marked difference in degradation rates between cars and the resultant variation in strategies inevitably leads to more overtaking, as cars encounter one another during different phases of a stint and therefore at very different performance levels.